Yuri Bashmet is the pre-eminent viola player of the modern age. With his virtuosity, strength of personality and high intelligence, he has given the viola a new prominence and has motivated composers like Shostakovich, Schnittke and Gubaidulina to expand the viola repertoire and to dedicate works to him. 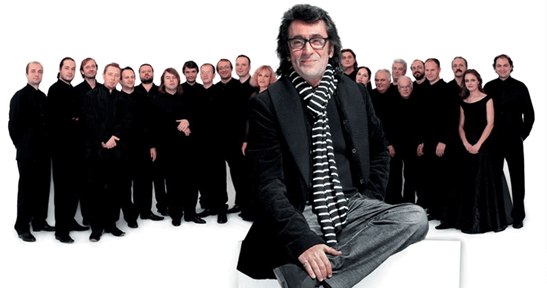 Bashmet is the Artistic Director of the December Nights Festival (Moscow), Principal Conductor of the ‘Novaya Rossiya’ State Symphony Orchestra, and is a founder and director of the Grammy Award-winning Russian orchestra Moscow Soloists, which celebrates its 20th anniversary in 2012. Yuri Bashmet has a vibrant and active solo career, appearing throughout the world in the dual role of conductor and soloist. In his performing and recording career, Maisky has worked in long-standing partnerships with such outstanding artists as pianists Martha Argerich and Radu Lupu, violinists Gidon Kremer and Janine Jansen, as well as conductors Leonard Bernstein, Zubin Mehta, Vladimir Ashkenazy, and Daniel Barenboim, to name a few. As an exclusive Deutsche Gramophone artist, during the last 25 years he has made over 30 recordings with such orchestras as Vienna and Berlin Philharmonic, London Symphony, Israel Philharmonic, Orchestre de Paris, Orpheus, Chamber Orchestra of Europe and others. This entry was posted on February 28, 2012 by admin in 2012.